Rugged, picturesque, to 2 ft. high. Narrow, aromatic leaves glossy dark green above, grayish white beneath. Small clusters of light lavender blue, ¼ - ½ in. flowers in winter, spring; bloom occasionally repeats in fall. Flowers attract birds, bees. Leaves widely used as seasoning. 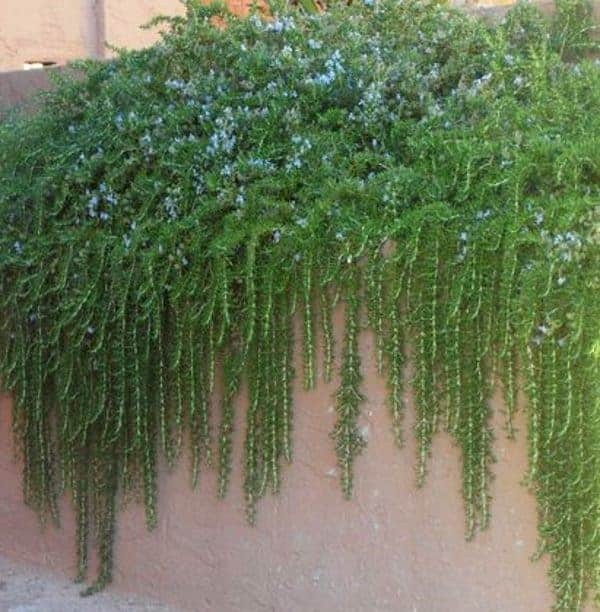 Stems creep along the ground, so use as a groundcover or to hang over walls. Good drainage is a must. Will spread indefinitely.